Last week we featured Goldschlager — the popular cinnamon schnapps with real gold flakes. It’s what we would consider a novelty liquor — while it certainly serves it’s purpose as a mixer (and a rather good one) it also has a “hook”. This week’s featured liquor doesn’t quite have the same novelty value, although it is almost instantly recognizable to those familiar with popular club drinks. 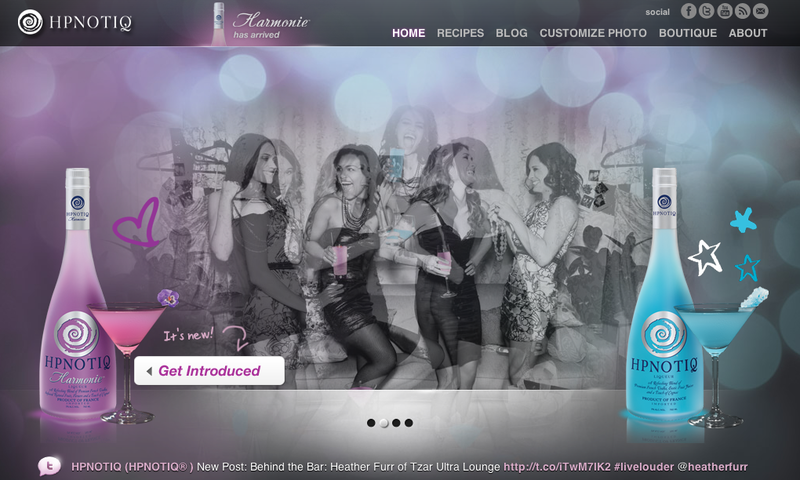 Hpnotiq tends to present itself as the “official” liquor of “Girl’s Night Out.” They know their demographic, as I don’t know many men who would be caught drinking Hpnotiq. Any guy who’s comfortable enough in his own sexuality though won’t be afraid. Yes, it’s a pastel blue. Yes, it’s citrus. But seriously guys, if something like this is making you worry what people think, it’s time to grow some balls. Yeah. That’s right. It takes balls to drink Hpnotiq. Or at least learn how to mix it to impress your lady friends. 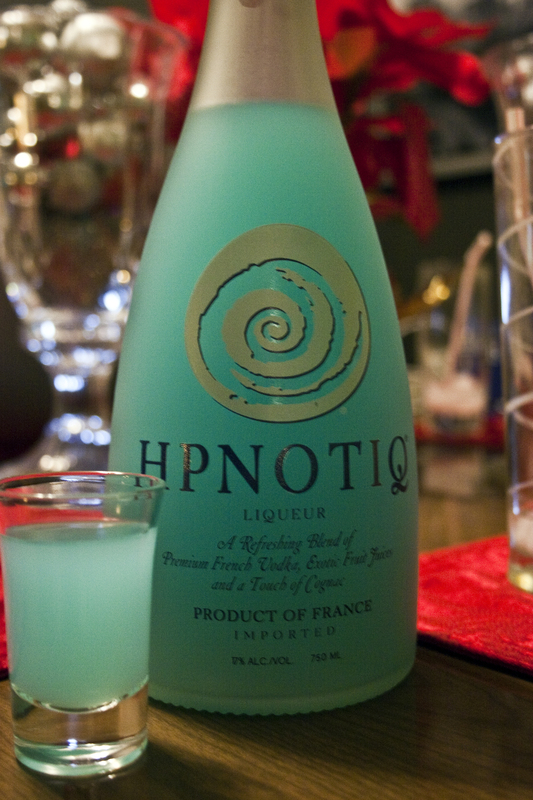 Hpnotiq is a liquor hailing from the land of France, using vodka, “exotic fruit juices” and a dash of cognac for good measure. Okay, it really is geared towards women. However it’s color and general acceptableness on the palate makes it great for mixing up some New Years Cocktails. That’s right, last week was Christmas cocktails, this week it’s New Years cocktails. Strong citrus scent with a strong wave of sweet coming at the end. 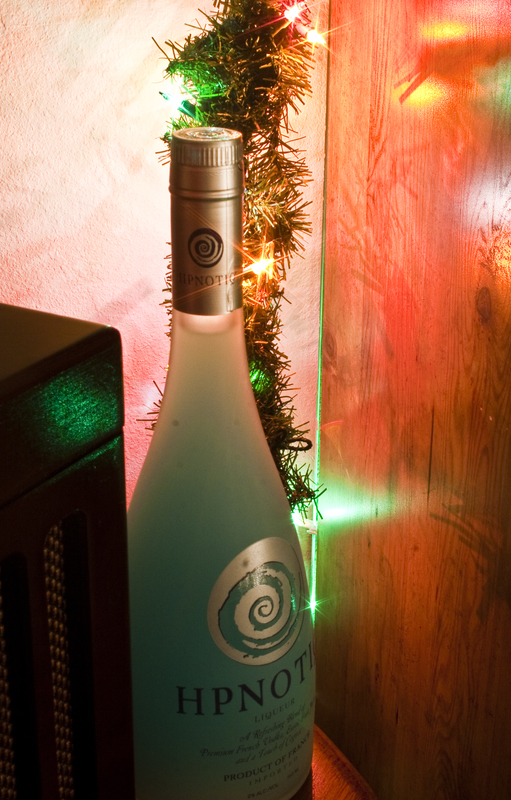 The sweet comes first, followed by the citrus flavor with a little bit of a floral hint. The sweetness becomes more pronounced and becomes almost more liqueur than liquor.